Have you registered as a user on PhotoComment? Have you subscribed to receive updates from our website? Malcolm of Johannessburg registered on our site and automatically qualified for an entry into our first website comeptition. 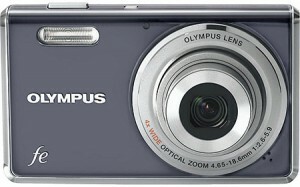 He is now the proud owner of an Olympus FE-4000 Compact Digital Camera. Congratulations Malcolm! Register now to automatically qualify for some of our website based competitions. You can be sure that we will have many more. Competitions on photocomment.net are currently only open to residents of South Africa.